Jet Lag: traveling across time zones can lead to jet lag. Jet lag has the potential to disrupt sleeping patterns, put aging adults at risk of exhaustion and affect an individual’s sensitive medication schedule. Injury: Traveling on an airplane includes several potential risks for injury, especially for aging adults because they are more prone to injury. 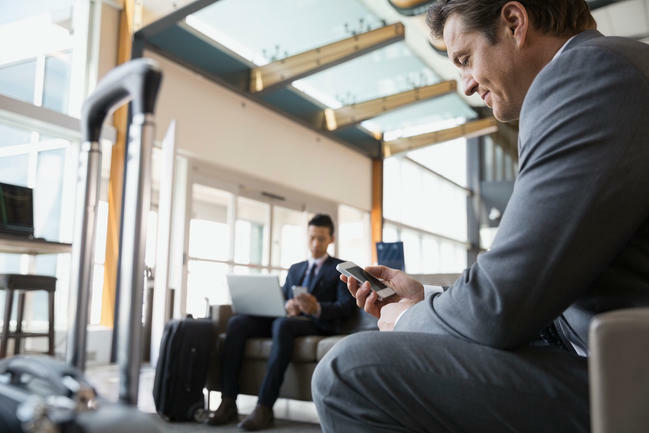 Risks for injury include being shoved or pushed while entering or exiting a plane, falling in the airport or being hit by luggage from overhead carry-on storage. Any injury that an elderly individual receives during air travel can be increasingly dangerous as life-saving medical treatment can be unavailable during longer flights. Illness: Aging adults have weaker immune systems and therefore at an increased risk of getting sick during or after air travel. A more fragile immune system is particularly problematic when flying on an airplane as the close quarters makes it more likely for germs to spread between individuals. Also, staying too long in one position can lead to blood clots or worsen arthritis. Aging adults can avoid or minimize potential flying related injuries by packing lightly and only packing small carry-ons with essential items. In addition, getting an aisle seat will make the bathroom easier to reach and taking short walks on the flight will increase blood flow and reduce the risk of blood clots. Even the most cautious aging adults can face serious medical events and need skilled nursing care from a top rated rehab center. Receiving short-term care or long-term nursing home care in comfort and from a well-trained staff can help you or your loved ones recover faster and stay healthier longer. This post is provided by Sprain Brook Manor Rehab which Provides unique opportunity to recover from medical procedures that result in true satisfying results. Getting you stronger and better every day. Contact Us today to receive more information. Disclaimer: The information provided in this post in not intended to be construed as health advice, nor should it be considered a substitute for obtaining individual medical counsel or consulting your physician. When an aging parent becomes ill, it can often lead to issues between family members. Even family members who have a good relationship can find themselves arguing over care for their parents. For families that already have a strained relationship, fighting over a parent’s care can further negatively affect the relationship between family members. Whenever siblings are helping manage or take care of a parent, there may be several aspects siblings may argue over. These elements include being upset that another sibling is not contributing enough to care for the aging parent, the primary caregiver feels like they cannot be assertive in the care of the aging parent, and issues related to old family dynamics being dredged up. It is important that family members make sure they work out any matters related to their loved one’s care. Otherwise, they can find their relationships with one another getting worse or potentially hurting their loved one’s health further. Family members can ensure that their relationship stays resilient while taking care of an aging loved one by following several tips. These tips include making sure to have open lines of communication where you can discuss how you feel about the situation, be open about concerns, validate what other family members say, understand that different family members have different capabilities and recognize your limitations. When one child becomes the primary caregiver for an aging parent, they can be more susceptible to caregiver burnout and resentfulness towards other siblings. Respite Care can help prevent caregiver burnout and resentment towards other family members by offering a short-term care reprieve to the caregivers. At Sprain Brook Manor we understand that taking care of a loved one can put extra stress on family members and we offer several services including respite care, short-term nursing care and long term nursing care which can help alleviate family care-related stress. In addition, we understand the importance of knowing your loved one is in a caring environment with skilled staff, and that is why we are also working towards being the top rated nursing home and rehab center serving Scarsdale, Westchester, Yonkers and the greater tri-state area. Diabetes is a serious health issue that affects 11.8 million seniors. Diabetes is when an individual does not make enough insulin, a hormone that helps our body turn glucose (sugar) into energy. When the body does not produce enough insulin an overabundance of glucose is left in the blood stream. Too much glucose in the blood stream can lead individuals to have several negative health consequences including feeling, tired, hungry, need to urinate often, and damage to their eyesight. In addition, when glucose levels get to high in the blood stream it can hurt kidneys, nerves, cause heart disease, stroke and even lead to amputation and death. Diabetes, particularly type 2 diabetes (formerly known as adult onset diabetes) often runs in families. Risk factors for type 2 diabetes include being overweight and under active. In addition, those over the age of 40 from African Americans, Hispanic/Latino Americans, American Indians, and some Asian Americans and Pacific Islanders groups are also at higher risk of developing type 2 diabetes. For those diagnosed with diabetes it is important to properly manage it. It crucial to speak to your doctor to find out what steps you need to take in order to manage your diabetes. There are generally 4 essential aspects to managing diabetes. Eating Correctly: Understanding how your diet affects your glucose levels is essential in managing diabetes. Creating a diabetic specific diet plan can help keep your glucose levels down. 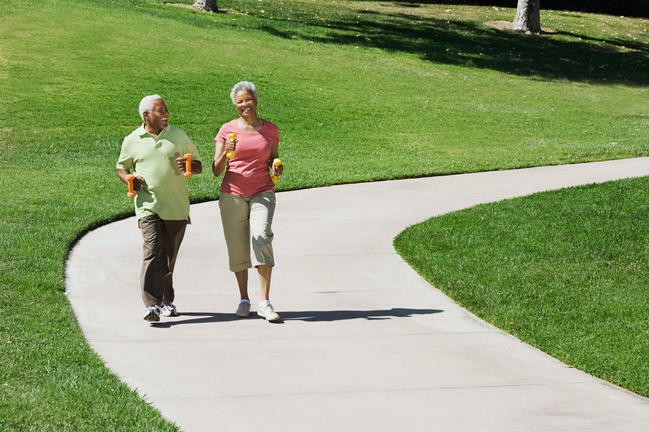 Exercise: Regular exercise can help improve glucose levels in older people with diabetes. Medications: Medications can help individuals with diabetes manage their blood glucose levels and can help improve the positive effects of eating right and exercise. Diabetes is only one of the many health concerns that seniors face as they age. It is important that as we age we properly manage our health. When our loved ones have serious health issues we need to ensure they get the best skilled nursing care. Sprain Brook Manor Rehab offers short term and long term care that serves the greater Tri-State area. We consider all aspects of our resident’s health including diet to ensure they have the best possible care. According to the National Council on Aging financial scams that target the elderly are extremelyprevalent. These crimes are devastating to seniors and leave them little opportunity to recover theirlosses. In addition, financial scams often go unreported because elderly victims may feel tooembarrassed to come forward. One of the best ways to keep your elderly loved one from falling for afinancial scam is educating them. 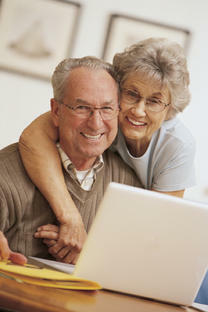 Below are the most common financial scams that target the elderly,for a full list see ncoa.org.  Medicare/ Insurance Scams- Perpetrators may pretend to be a Medicare representative and getan elderly person to give them their personal information or provide a bogus service and thencharge Medicare for it. Ensure that you or your loved one checks Medicare statements in orderto catch these types of scams.  Counterfeit Prescription Drug Scams- When seniors try to save money on medication by buyingmedication online they can fall prey to stores that sell counterfeit drugs. This type of scam canbe hazardous to a individuals wallet and their health so stress the importance of only buyingmedication from reputable sources.  Funeral and Cemetery Scams-Some scam artists go to funerals and demand money from familymembers for fake debts they claim the deceased owes them. In addition, shady funeral homesmay add expensive options to bills even when they are not necessary. If someone claims thedeceased owes them money tell the individual to contact the lawyer handling the estate and make sure to research any expensive additions funeral homes may try to add to your bill.  Telemarketing Scams- These scammers prey on the elderly and are extremely hard to trace.Three common phone scams are the pigeon drop, where the scammer tells the mark they found money and will split it with the aging adult if they give them a good faith payment, the fake accident ploy, where someone calls an aging adult and tells them to send them money on the premise that a family member is in the hospital and needs it and the charity scam, where money is “collected” for fake charities. Scams that target the elderly can do a lot of financial and psychological damage to the victims. Just like when it comes to taking care of your aging loved one, it is important to be educated about potential hazards that can threaten their health. At Sprain Brook Manor we understand the importance of knowing that a family can trust the health and care of their loved one to our skilled nursing care staff. We have the best rehab center in the Westchester area and offer several therapies including Cardiac, Speech, Pulmonary and Physical therapy so that your loved one can regain their health and quality of life. This post is provided by Sprain Brook Manor Rehab which Provides unique opportunity to recover from medical procedures that result in true satisfying results. Getting you stronger and better every day.Contact Us today to receive more information.Disclaimer: The information provided in this post in not intended to be construed as health advice, nor should it be considered a substitute for obtaining individual medical counsel or consulting your physician.